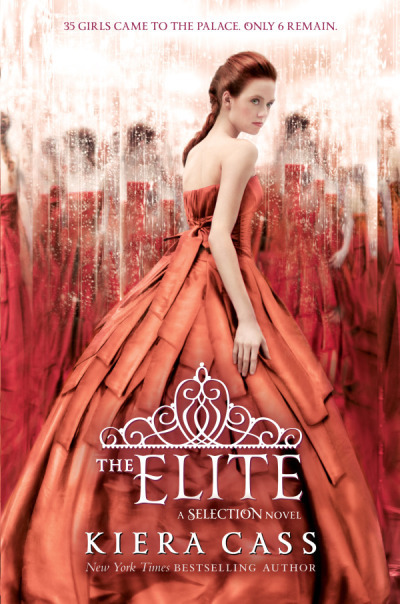 I just finished a really cute young adult novel that’s been called a cross between Hunger Games and The Bachelor. I’d call it more of a Miss America pageant with intrigue. It is a romance, and you all know by now that I don’t go there often, but since I’m including a bit of romance in my current Ella Wood manuscript, I figured it wouldn’t hurt to dip into some in my free time. Call it research. Actually, I was feeling the need for a break from middle grade, so I hopped on Goodreads and tracked down a “best of…” list, and this series happened to be on it. The blurb caught my eye. Believe me, it wasn’t the “glittering gowns and priceless jewels” that got me. It was America’s reluctance. And (shhhh) the hint of a love triangle. I like romance to take a back seat to the action, but if it’s going to be predominant, the tension of a love triangle sometimes works better for me than simply meeting Prince Charming in the first chapter so that I predict the rest of the book. At least keep me guessing! Ms. Cass pulls this story off pretty well. I was a little critical at first. We’re introduced to America’s world, with its restrictive caste system, as well as to her hopes, her dreams, and her boyfriend. The flow wasn’t quite as smooth as others I’ve read. And when she enters the royal competition, the reasons felt like a stretch. But I accepted them and moved on…and then I got sucked in. I loved the interaction at the castle, and especially how America insists upon being herself. She won’t change, even for royalty. And she’s wonderfully forthright with Maxon. She’s not there to marry him. She’s there for the food! It sets the stage for a unique friendship and fabulous, witty dialogue in the midst of an elimination round. I love them together, even though the prince is a bit of a schmuck. He’s not as stuffy as America thinks he’ll be, but for me as a reader, he is a bit too perfect. 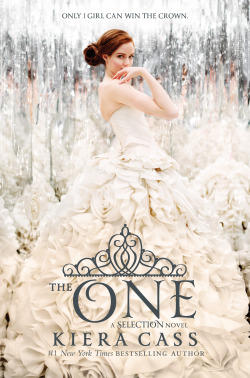 Still, I had to find out who she’d choose, Prince Maxon or her old flame, Aspen. I didn’t find out by the end, so I already ordered book 2 from the library. Despite this book looking like one I’d never pick up, I actually enjoyed it. Maybe I’m more of a sap than I like to think. Anyway, moms, physical relationships are kept within safe boundaries, though there are a few minor profanities sprinkled throughout the text. I’d give this one an 8th grade or 13+ age recommendation. It’s a fun, light-hearted read. 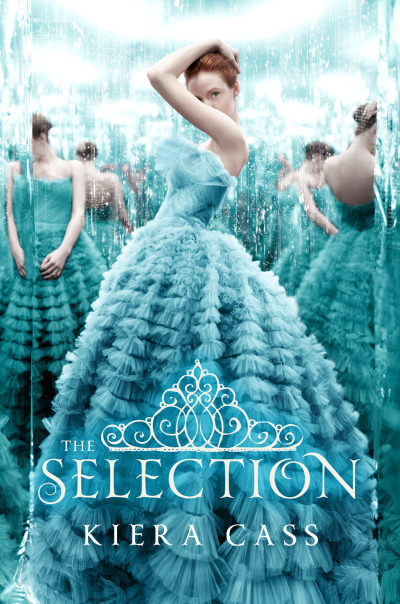 The Selection is just 1.99. Good for you! It will be fun to see how you write romance into your YA novel. For some reason this book reminded me a bit of the Princess Diaries only with a lot of glitter. Really meant to say Princess Academy series with glitter. Lol, I’m not familiar with that one. You must read The Prince Academy. Just discovered Shannon Hale has written a third novel. Unlike any princess book you’ve ever read. I think that you’d like the series, because it’s political by book 2. Am so excited there is a third. Read for my pleasure. Hmmm…they sound interesting. I’ll stick them on my summer list.